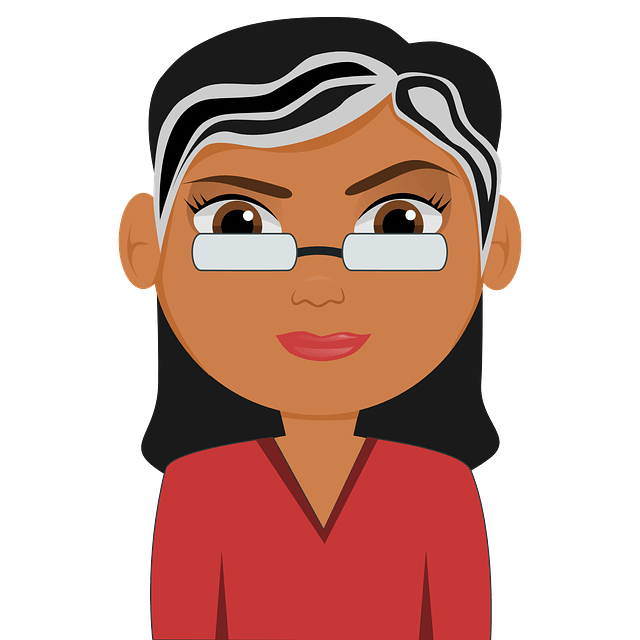 A persistent cough – is incredibly frustrating, makes it tough to sleep and very uncomfortable especially with people around. But it isn’t bad all the time. Wet Cough is just body’s way of clearing the mucus accumulated in your airway. When bacteria, pollen or virus irritate the nerve endings between throat and lungs, you experience dry cough – a body’s reaction to get rid of them. If it has been more than 3 weeks and accompanied by fever, chills, fatigue then you have to consult your doctor right away. But if you need a little help to wave off a cough that is usual in the winter colds or flu season then we have come up with honey remedies to deal with it. Honey is demulcent with stickiness and viscosity which helps to soothe the mucous membranes. The antibacterial properties present in it provide relief if cough is caused by bacterial infection. The antioxidants help the body to defend from the infection. How to Use Honey for Cough? 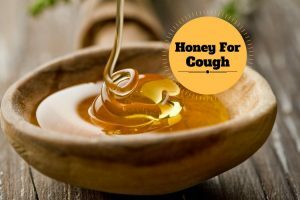 Listed are the home remedies for cough using honey which are not only effective and safe but also taste a lot better that over the counter medications. Consume a tablespoon of honey 1 – 3 times daily as required to control coughing. If cough is disrupting your sleep then eat 1 tablespoon of honey immediately before going to bed. For children, adjust the dosage to 1 teaspoon to 1 tablespoon of honey. This is an amazing process to get relief from cough accompanied with a lot of mucus and chest congestion. To a glass of hot water, add 1 teaspoon black pepper powder. Let it steep for 10 minutes and add 1 tablespoon of honey. To 4 cups of water, add 3 tablespoons of freshly chopped ginger and 1 tablespoon of dried peppermint. Bring this mixture to boil and simmer until the liquid reduces to half. Stir in a cup of honey and stir well. Take 1 tablespoon of the solution in every 4 hours to ease the cough. The solution stays good for 3 weeks. Let the down to room temperature. The vitamin C present in lemon helps our body to fight off the infection and it also helps to reduce the inflammation. Combine 1 tablespoon of honey and 2 tablespoons of lemon juice. For extra benefits, add 1 teaspoon coconut oil or a pinch of cayenne pepper. In a saucepan, mix 1/4 cup of local honey, 3 tablespoons of fresh lemon juice and 2 tablespoons of coconut oil. Heat the mixture over low flame until the coconut oil melts. Remove from the flame and store in an airtight container. Take a spoonful of warm mixture and consume it. Store the remaining in a refrigerator. Warm the enough mixture before consuming it. Bring a cup of water to boil and add 3 cloves of garlic (finely chopped) and a teaspoon of oregano. Add 1 tablespoon of honey and consume it. Using a mortar and pestle, crush one clove of garlic to fine paste. Add 3 drops of olive oil and 1 teaspoon honey to it. Mix 1 1/2 teaspoon of onion juice and 1 teaspoon of honey. Swallow this solution 2 times a day. Add 1 tablespoon of honey to a glass of lukewarm milk and drink it. Repeat once in the morning and once before going to bed. Mix 3 tablespoons of carrot juice and 1 tablespoon of honey. Consume this mixture 3 times a day. Combine 1 tablespoon honey, 1/4 teaspoon each of cayenne pepper and ground ginger, 1 tablespoon of apple cider vinegar and 2 tablespoons of water. Drink this syrup 3 times a day. Mix enough amounts of coconut flour and honey to make a paste. Make sure you mix enough coconut flour so that it is no longer sticky to touch. Add a very little melted coconut oil and add additional flour to achieve paste like consistency. Spread the paste on gauze and wrap it in cheesecloth. Place this on the chest just below the throat and secure it with a medical tape. Cover the patch with clothing. For children, remove the wrap after 3 hours. For adults, leave it overnight. Butter soothes your throat and vinegar is an antiseptic. Combine a small amount of butter, 1 teaspoon each of honey and vinegar. Mix well and eat the mixture. As honey is not safe for a toddler, buckwheat honey makes a great alternative for toddler cough. Buckwheat is rich in anti-oxidants and micro fighting properties which help to deal with cold and cough. Mix 1 or 2 teaspoons of buckwheat honey in a glass of warm water or juice. Feed the solution regularly throughout the day. For more effective results, add a pinch of white pepper powder or few drops of lemon juice. Mix 1 teaspoon honey with 1/4 teaspoon cinnamon powder. Combine 20 grams butter, 30gms each of flour and honey and 2 egg yolks. Mix thoroughly and drink it before meals. In a bowl, mix 1/4 cup each of honey, glycerin, and lemon juice. Whisk thoroughly for few minutes. Consume 1 teaspoon of the mixture once in few hours. Store the mixture in refrigerate. The gelatin coats your throat and provides relief from cough. Dissolve gelatin in a glass of hot water. Let it cool down for few minutes. Don’t let it sit for long as it starts to clump. Add honey to it and stir well. Consume it while still warm. In a saucepan, add 2 cups of water, 1 tablespoon each of chamomile, licorice root, rosehips, chopped ginger, cinnamon, and sage. Bring the mixture to boil, remove from the flame and let it steep for 20 minutes. Strain the mixture and pour in a heavy-duty saucepan. Stir in a cup of raw honey in it and place the saucepan over the heat. Stir continuously until the mixture reaches 300 degrees. Remove from the flame and pour in candy molds. Let it cool down until it can be touched with hands. Remove from molds and place on a parchment paper. When completely cool, toss in stevia powder. Pop in one piece whenever you have a cough or chest congestion. Avoid honey if you are allergic to pollen. Honey should not be fed to infants so manuka honey, agave nectar or buckwheat honey can be the best alternative for it. Pregnant and lactating women should consult a doctor before trying honey for cough. Cover your nose when strolling in dusty areas. Try steam vapors or menthol vapors to get relief from cough. If cough is still persistent even after trying the above remedies then consult a doctor. Drink soups to get relief from cough. Avoid dry foods as they tend to make the problem worse. Do you have any other remedy that works better? Share your suggestions and queries in the comments section below. My 89 year old friend gets a pain in the center of his chest with the cough. Any ideas what would cause that? And what dr would we go to?